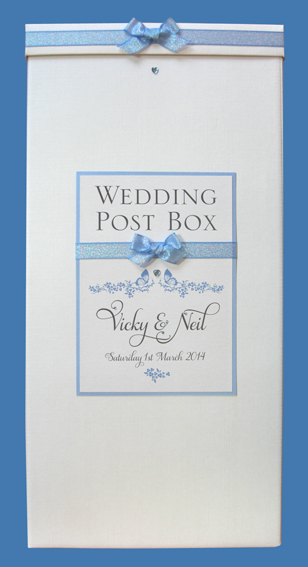 Ideal if you are having vouchers or money for your wedding gifts. 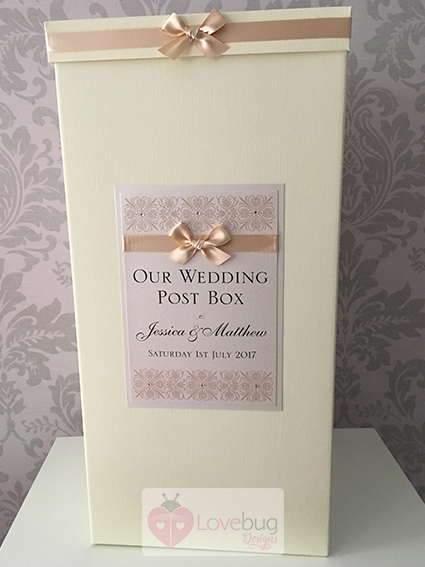 Perfect for your reception so guests can leave their cards in a safe place so they do not get mislaid. 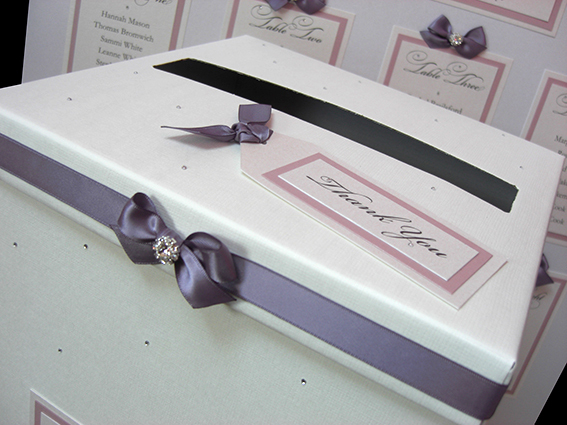 Can also be used to store your cards after the big day. 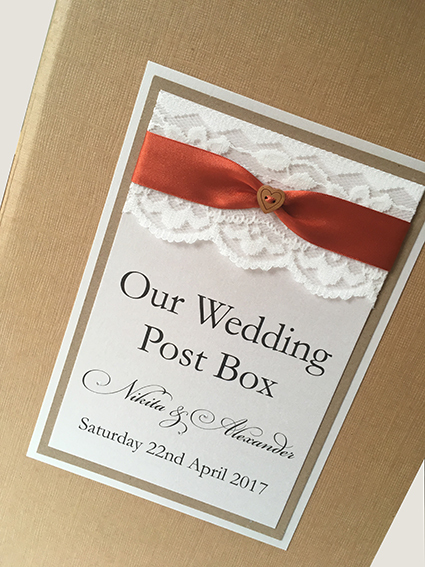 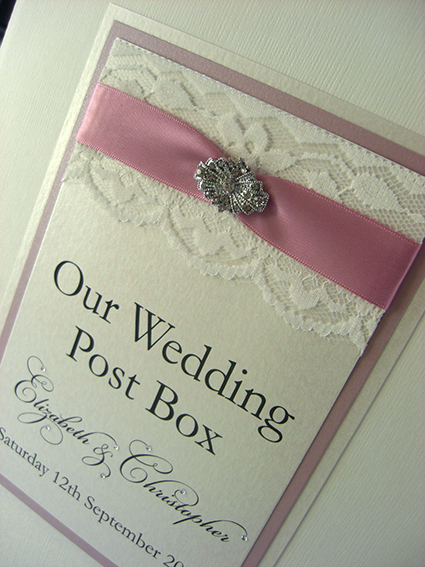 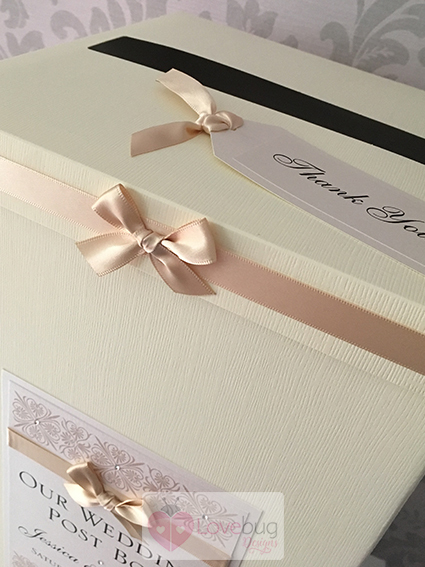 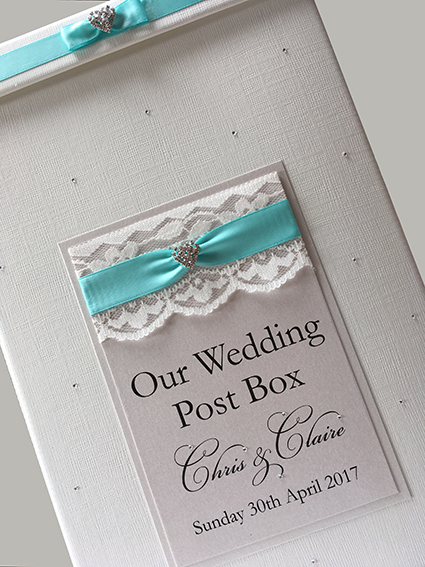 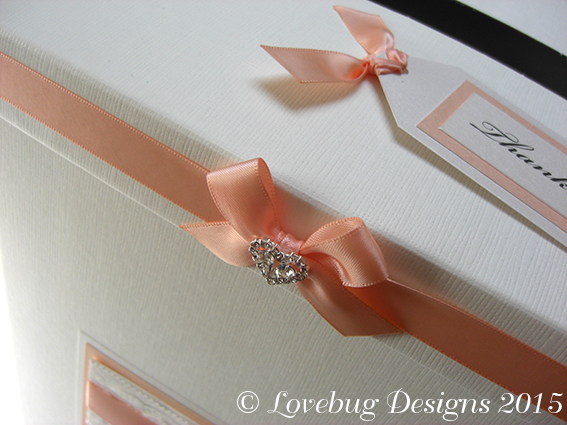 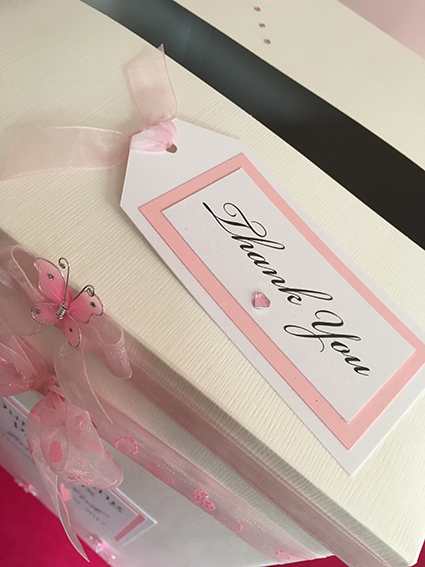 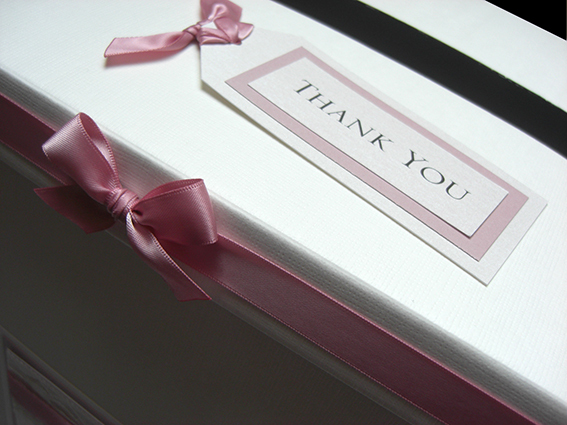 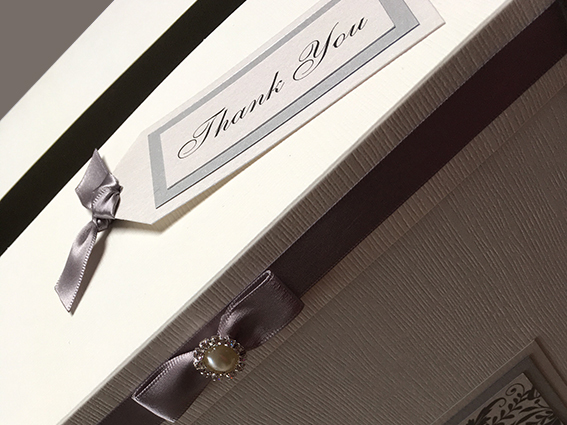 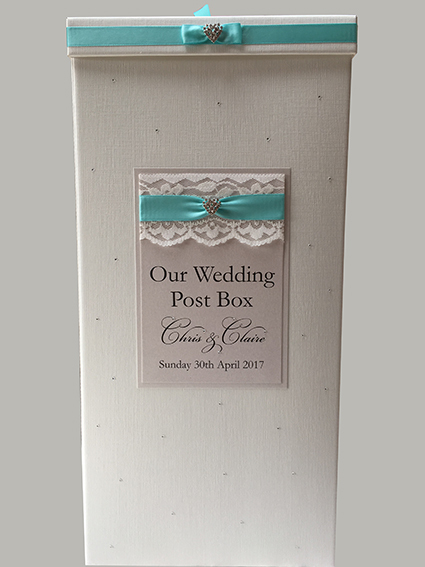 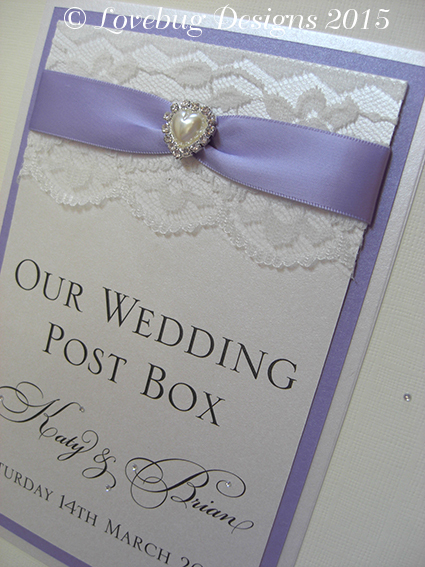 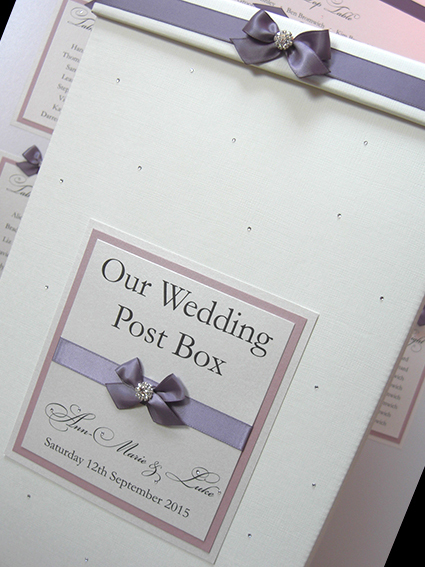 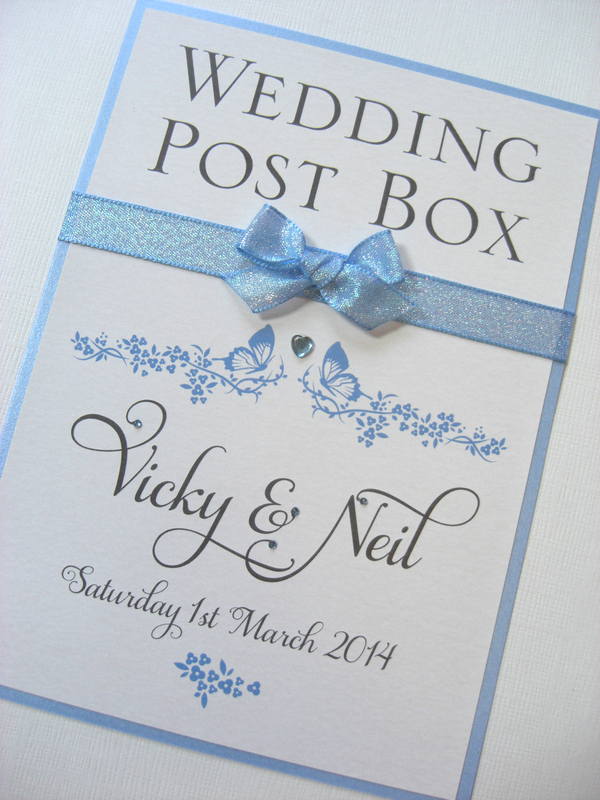 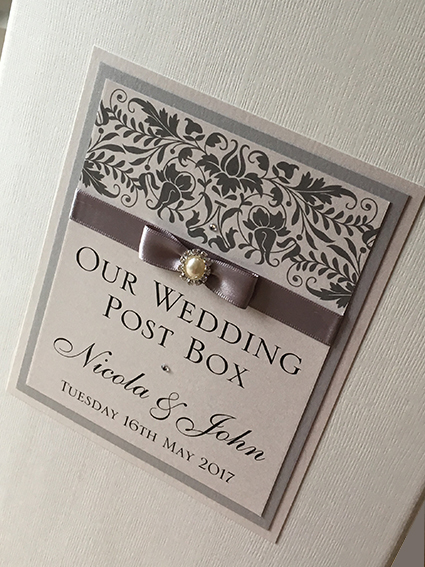 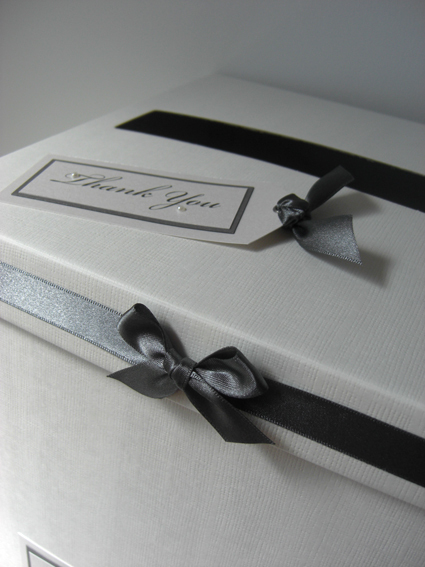 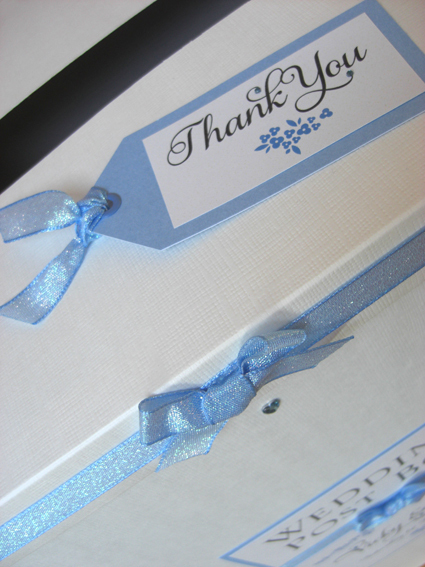 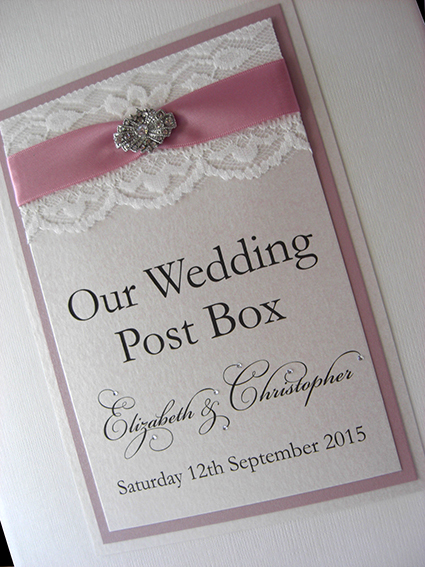 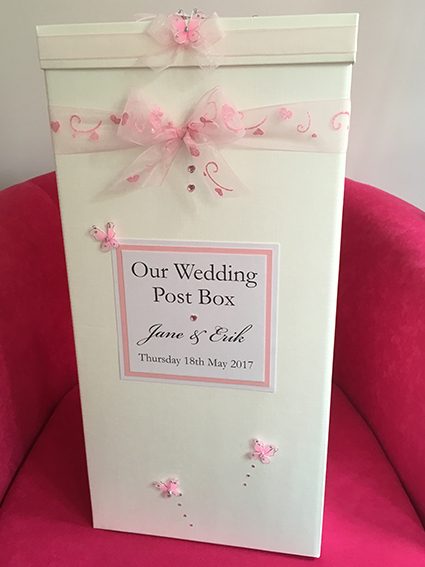 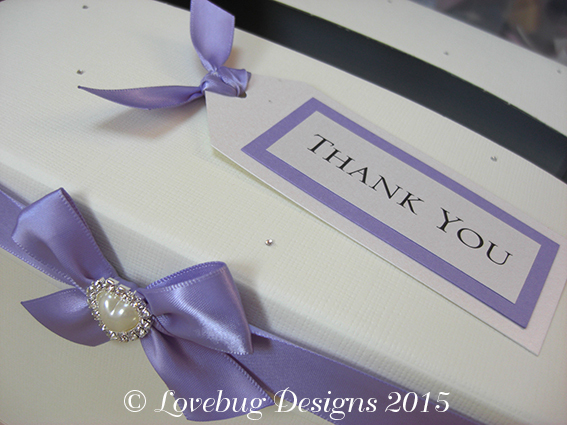 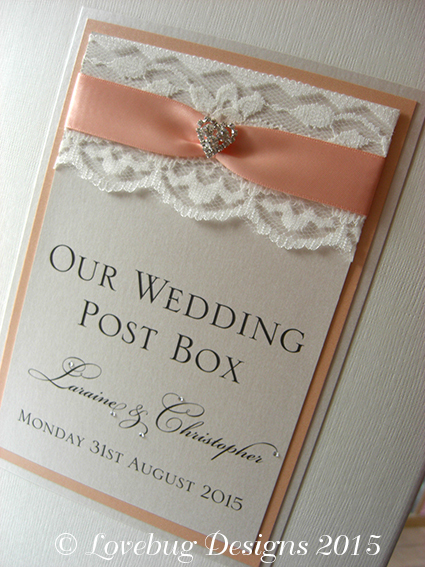 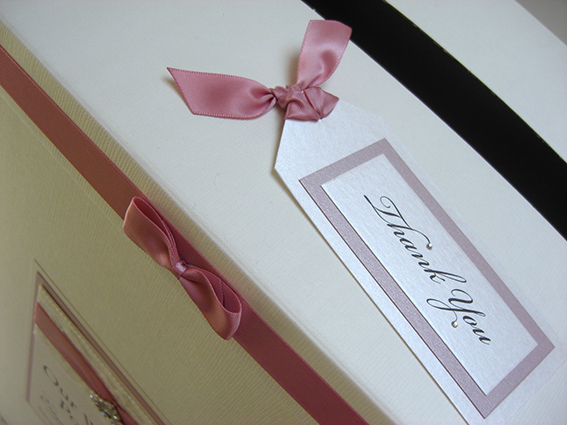 Designed to complement your wedding theme and colours, the boxes are personalised with couples names and date. 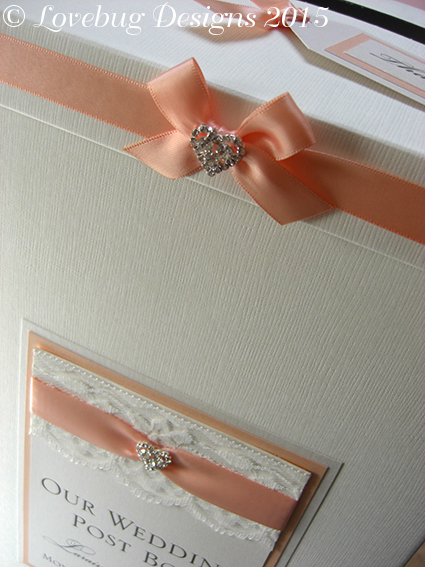 Available in white, ivory or kraft brown. 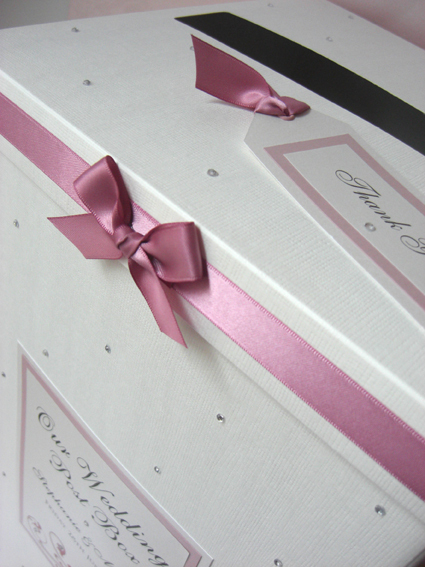 Size: 50cm height x 24cm width x 24cm depth.